I have a really hard time getting work done when the weather is nice. 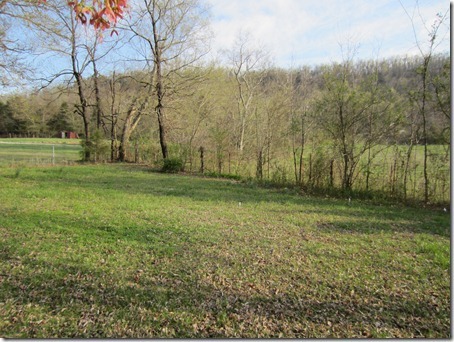 Good or bad, spring in the Ozarks is one of those times! Everything is brimming over with new life, flowers and trees are blooming, and the grass is turning green. And the temperature (while unusually warm the last few days) is just about perfect. I’ve been finding more-and-more excuses to get outside. Is that bad? Surely God would want us to delight in His wonderful creation right? 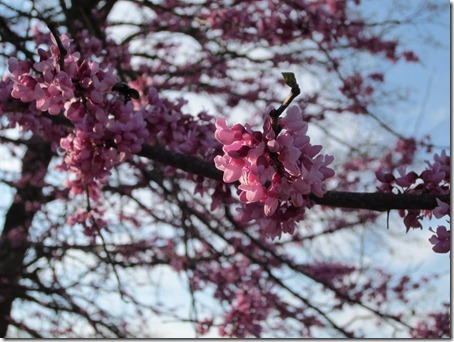 Our plum tree’s blooms have all faded, and the reddish-purple leaves are branching out. Our red bud, on the other hand, is in full bloom. I’m so thankful for such a beautiful sight, right outside my kitchen window! Even my daffodils have started to bloom. 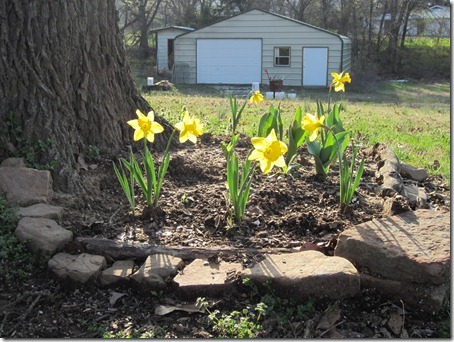 I was starting to get worried about them, since all the other daffodils in the area had opened weeks ago. I think these little beauties are worth the wait, though! 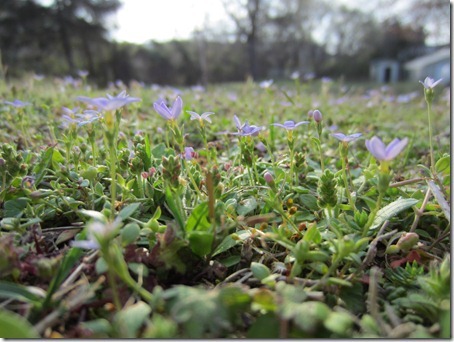 Even these tiny purple flowers have come to grace our backyard. They may be weeds, but I really could care less! 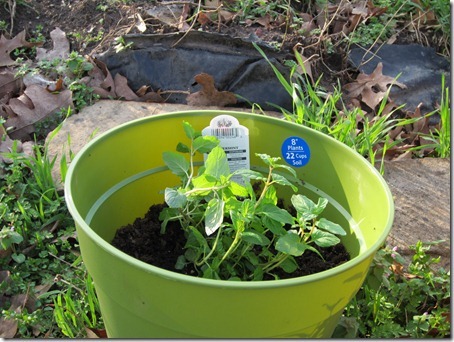 I also got the gardening bug yesterday and picked up a few herbs. I got thyme, peppermint, dill, and stevia. Hopefully these are just the first of many! 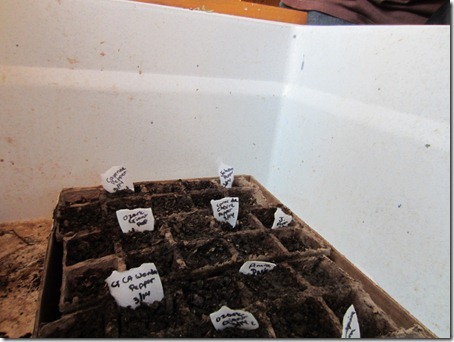 I also started a bunch of tomato and pepper seeds yesterday. We may have gone a little overboard in our seed-buying. We currently have two varieties of tomatoes, and six varieties of peppers, plus two more varieties of tomatoes I’ve ordered that are due to arrive sometime in April. Please excuse my dirty utility sink. I thought it would be the perfect place to start a few seeds! As of yet, our “garden” is still an empty lot. We’re desperately working on getting some topsoil. We haven’t had too much luck, but we have a few more leads. Hopefully we can get it all ready in the next week or two!